A sizzling, icy-white, transitional European-cut/round brilliant-cut diamond, weighing .57 carat (laser inscribed by the GIA: F color - SI1 clarity) is the center of attention in this distinctively different vintage finger-hugger hand fabricated in platinum over 18K rosy gold - circa early-20th-century. 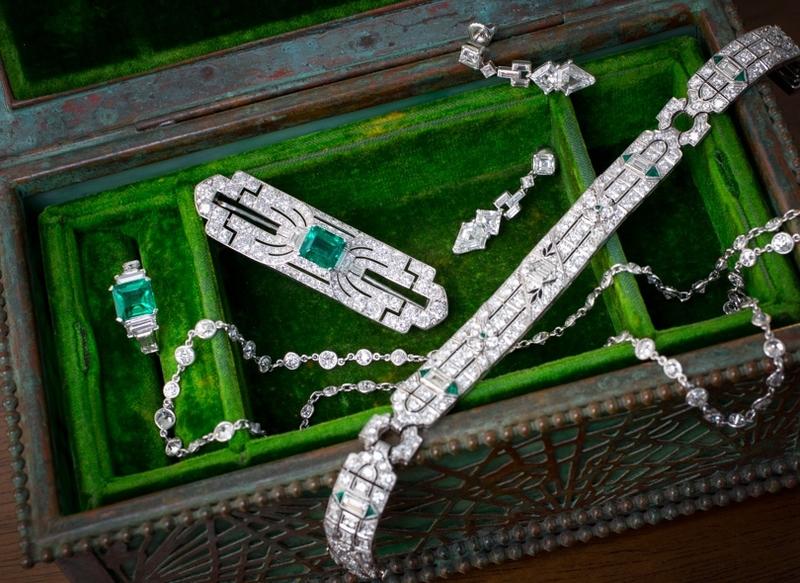 The sinuous interlocking design, which defies easy categorization (an artful blending of Edwardian and Art Nouveau perhaps), is aglitter with .82 carat total diamond weight. A rare and ravishing uniquity. 9/16 inch. Currently ring size 5. *Payments as low as $205.32 per month. This example payment is based on the listed product price of $4,450.00 assuming a 24 month term loan and a 9.99% APR. Your terms may vary and are subject to credit approval. Rates range from 5.99% to 29.99% APR, resulting in, for example, 24 equal monthly payments of $45.22 to $55.91 at 7.99% to 29.99% APR per $1,000 borrowed. Bread® loans are made by Cross River Bank, a New Jersey Chartered Bank, Member FDIC. 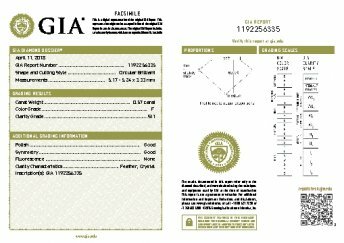 Carat Weight: 0.57 carat Because mountings prohibit full and accurate observation of gem quality and weight, all data pertaining to mounted gems can be considered as approximate unless accompanied by an independent laboratory certificate (AGL, EGL, GIA). Unless otherwise stated, all colored stones and pearls are assumed to be subject to a relatively stable and possibly undetected color and/or clarity enhancement.